Teaching children how to cook is a very entertaining and useful choice, children will enjoy it and have a lot of fun – most importantly, they will learn how to cook the recipes they will be able to make throughout their entire life. Back in 1957. 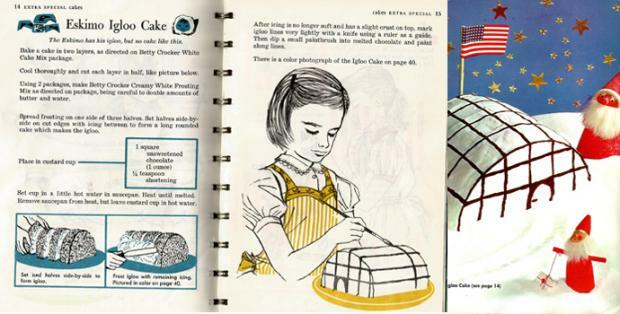 Betty Crocker’s Cook Book for girls and boys used very simple, yet eye catching instructions on how to cook certain recipes, and kids truly enjoyed it! 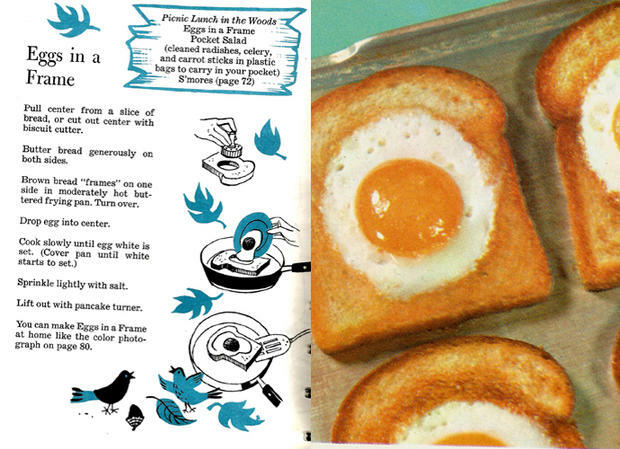 We bring you 9 very delicious recipes from the 1950s that you need to show your children! 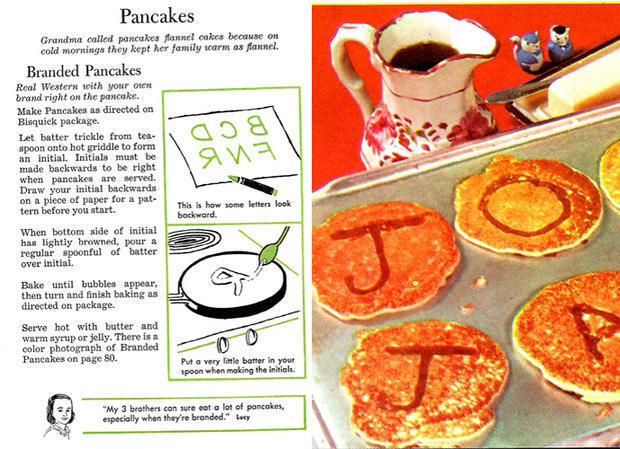 Every kid likes pancakes, especially if these pancakes feature their initials. Prepare to eat many pancakes in the future once you show them this awesome recipe! Who does not like eggs in a frame, especially if the frame turns out to be perfect? Kids will love to eat this recipe as well as make it at any time of the day! Hurry, go buy some more eggs! A perfect meal for the little campers who will also enjoy making this awesome meal. Give them a long stick, fire and enjoy looking at their cooking entertainment outside! Kids like to create characters and play with their food sometimes. 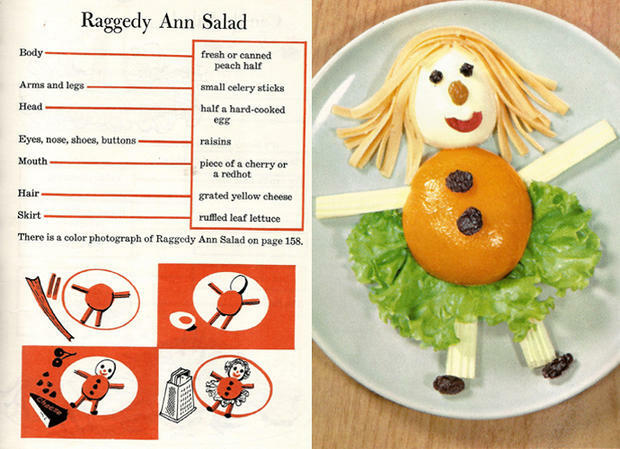 Teach them how to manipulate the shapes of fruits, vegetables and more in order to create awesome characters such as Raggedy Ann. They will find it extremely fun and motivating! 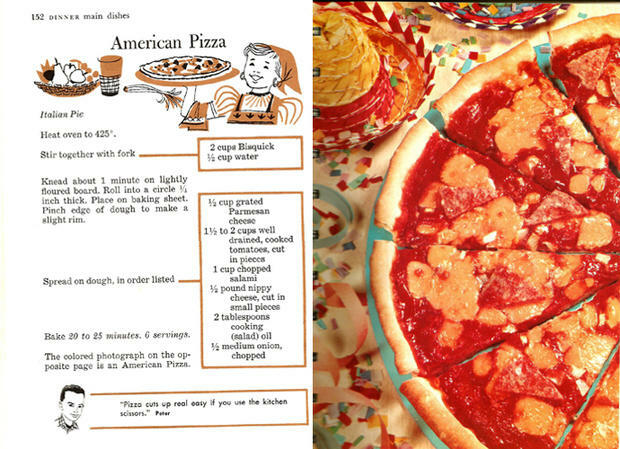 It is rather important that you show to your kids how is pizza usually made, some kids will be very interested, meanwhile others might not find it so cool. We are sure no matter what, you will all have fun! Another great meal for little campers, or just kids who like to spend their time outside next to the fire with a stick. 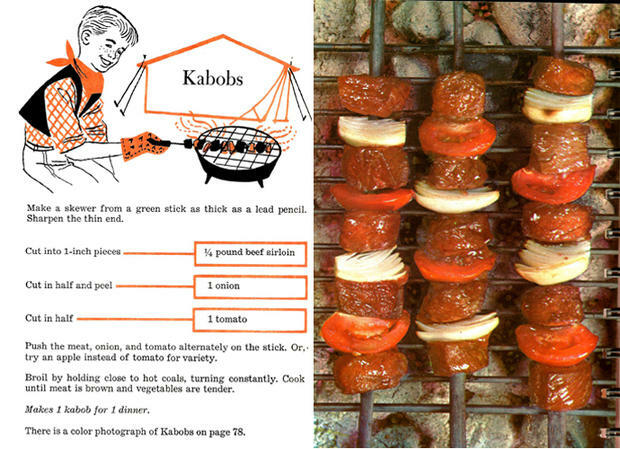 Kabobs are surely one of the most fun things to make as a child! 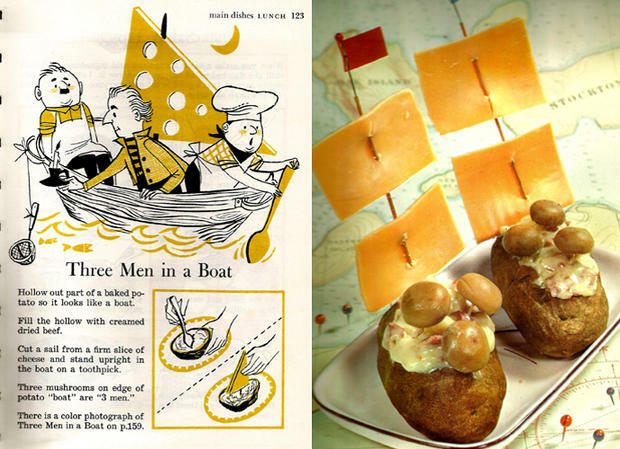 Modern children might not look very positive about the ingredients in this recipe, but after all – it is a boat, a boat you can actually eat! It will be a lot of fun, and maybe they start eating something they avoided all this time! 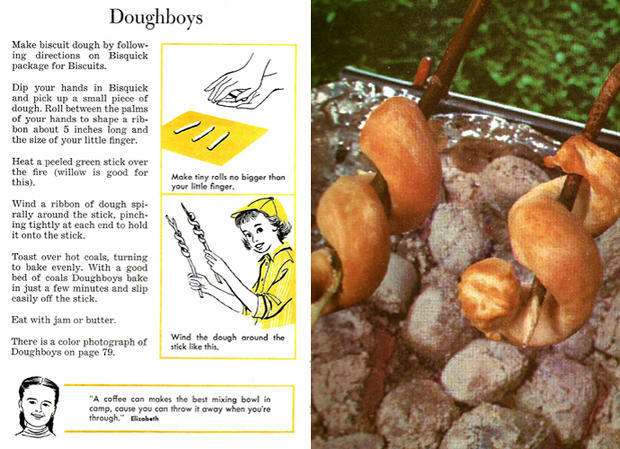 My favorite of all the recipes from the 1950s we feature here. 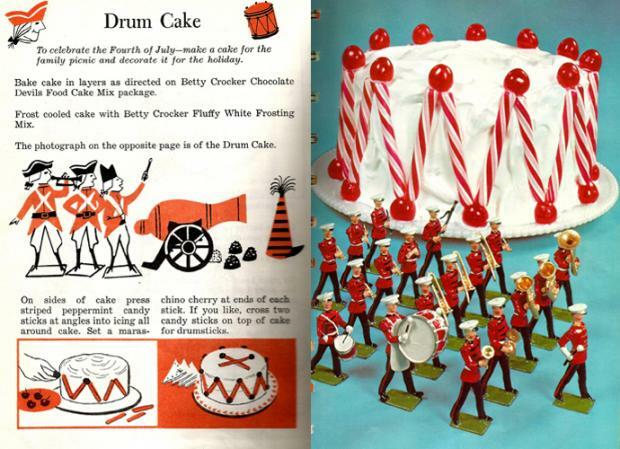 Girls will love this lovely drum cake covered with candy canes! It is delicious and super fun to make, unlike previous recipes, this one will be their favorite dessert! Another lovely cake that actually teaches kids about igloos and social values. Aside of learning, kids will also enjoy the taste of this super delicious cake made with a lot of love! 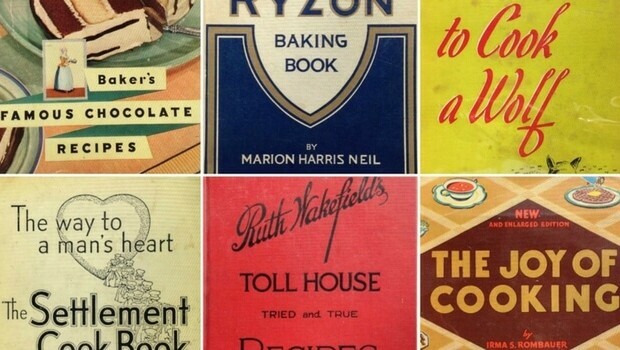 Did you enjoy these list of recipes from the 1950s? Which one would you show to your children? Have you tried any of these and which one was your favorite?